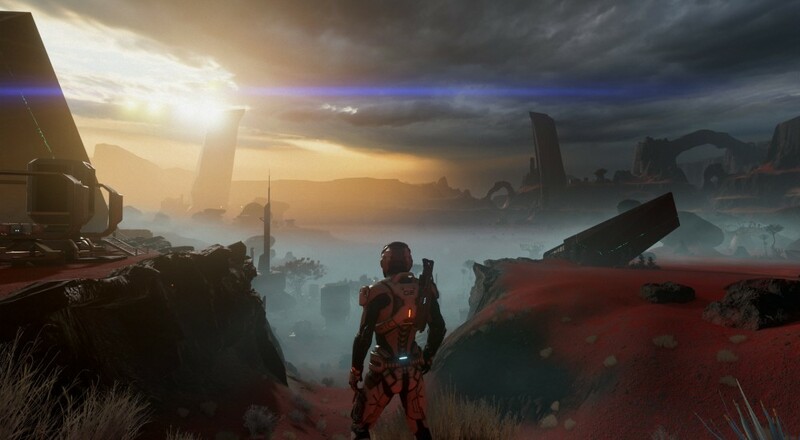 We're a month away from the next big entry in the Mass Effect series with Mass Effect: Andromeda, and for such an anticipated title, details are few and far between about some of its key features. Specifically, in our case, its co-op/multiplayer mode. A new pre-order trailer has shown a little bit of footage, which has lead to some speculation about what to expect. The pre-order trailer arrived on the PlayStation EU YouTube channel late last week and amongst all the single-player goodies that are offered, like a skin for your space vehicle (the Nomad) and a "Deep Space Explorer" armor for the protagonist, you'll also get a "Multiplayer Boost Pack." Based on what's shown, it appears this pack is just experience boosters so you can level your particular co-op class faster. Alright, so not as much info/details as we'd like, but hey, at least it provides a little more room for speculation about the co-op mode. From this, it's fairly safe to assume that players will have greater freedom in customizing their class/role than in the previous incarnation of this mode. Hopefully, BioWare will shed more light on all of this in the next few weeks once the closed beta test hits.